There is soooo much Wizard101 UK information to catch up on! But before I touch on the new Wizard101 UK info (Autumn Fest, Death School Celebration, New Website Layout) let's get this short blog update out of the way. I got rid of the 5 tab header and replaced it with a 6 tab header adding in Wizard101 UK Posts. 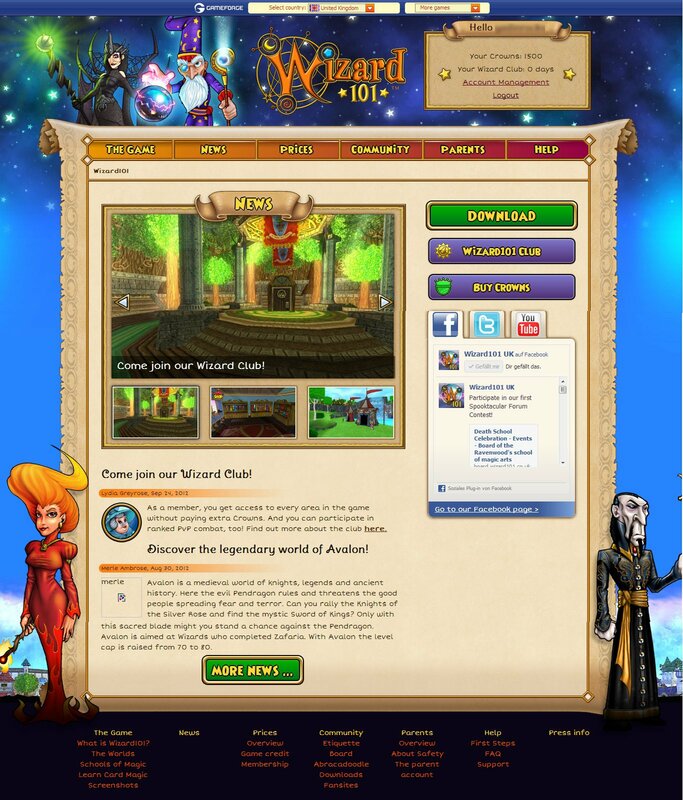 Now, if you click on that, it will take you to a page where you can view all pages with the label "Wizard101 UK". Now, onto the new Wizard101 UK Information Update! If you have visited their website lately, you would know about their amazingly spectacular new layout. A part I like a lot is how they made it so you can sign in from anywhere on the site (top right corner). Once you login, it displays your username, crown balance, wizard club, and account management. In addition to that, you may have heard of two major events that are going to be happening soon in the UK. Wizard101 UK Autumn Fest and the Death School Celebration. 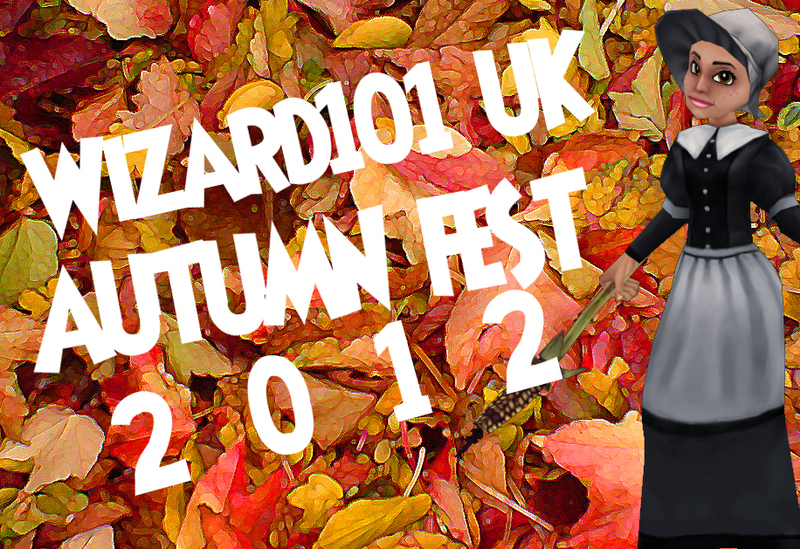 Wizard101 UK Autumn Fest 2012 - More details will be released soon. The nights keep getting longer and the cool air of Fall wraps me up like an old coat. This being one of the few times of year you might see me out gathering reagents for potions and elixirs away from the Nightside Death classrooms. So to prepare for Samhain we will be conjuring up some spooktacular events through out the month of October. To begin, we are holding a design contest for the forum boards with a theme fitting our Death School and elements to Hallow E'en for our new banner. Entries and details for the contest can be found HERE. Entries will be accepted through Saturday October 6th and the winning banner will receive some fitting card packs. Isn't that exciting!? I am going to enter this contest for sure! I can't wait to see what else they have in-store for us this glorious Autumn season. Not to mention Halloween is in a few weeks! I am so excited! What do you look forward to the most this holiday season? 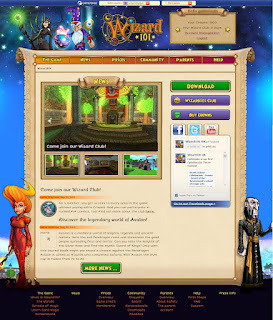 What do you think about the new Wizard101 UK website look? Stay tuned for more Wizard101 UK stories and much more! Good luck Blaze! Can't wait to see you on the list!